NASA astronaut Piers Sellers will take the larger of these two pieces of the apple tree credited by Isaac Newton has helping him discover the laws of motion that explain gravity during NASA's STS-132 shuttle mission to the International Space Station in May 2010. Full story. Astronauts on the International Space Station have given azero gravity tribute to famed 17th century scientist Sir Isaac Newton in honorof his pioneering work to understand the laws of gravity ? which they'recurrently defying. British astronaut Piers Sellers, while floating inweightlessness on the station, said Thursday that he let a picture of Newtonfloat free alongside a chip of wood from the storied apple tree that inspiredNewton's gravitational studies. "Sir Isaac absolutely loved it, I've got to tellyou," Sellers joked. "We had him in the window and he got to watchhis little wood chip float by and ponder the laws of gravitation andeverything. I think it was a treat for him." Sellers, a mission specialist on shuttle Atlantis'STS-132 mission, packed the picture and bit of tree with him when he launchedMay 14. He and five crewmates are about halfway through a 12-day spaceflight todeliver a new room and supplies to the space station. 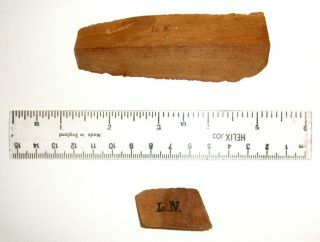 Sellers brought the memento as a favor for London's RoyalSociety, thought to be the oldest scientific society in the world. "I asked the Royal Society if I could fly something forthem," Sellers said. "I thought they were going to give me somethinglike a medal, or I don't know, a little telescope or something, but they sentme a piece of IsaacNewton's apple tree." According to science lore, Newton happened to see an applefall from the tree, which helped him develop his theoryof gravity. As the apple fell to the ground, Newton wondered if the sameforce that makes objects fall down toward the Earth might also be responsiblefor keeping the moon in orbit around the planet, according to the story. Itturns out he was correct. "I've taken this appletree chip up here and a picture of Isaac Newton, and this'll give himsomething more to think about I think, 'cause it's floating around, it's notfalling," Sellers said. Sellers and the Atlantis crew are due to stay two more daysat the space station before undocking on Sunday. Mission specialists GarrettReisman and Michael Good are preparing to conduct the mission's third and finalspacewalk Friday. The crew plans to land back at NASA's Kennedy Space Centerin Cape Canaveral, Fla. on Wednesday, May 26.